Cinderella is a classic rags to riches story. We all know how it goes in Disney’s retelling; a fairy godmother appears to a beautiful yet downtrodden kitchen maid, and transforms her animal friends and nearby objects into a carriage and chauffeurs to get her to the Prince’s ball. Cinderella effortlessly charms the Prince, before disappearing at midnight, when her pumpkin carriage will turn back into a regular old pumpkin. 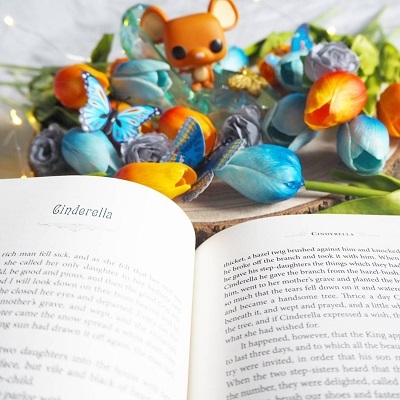 However, the Prince is so enchanted by this mysterious girl that he can’t bear to be without her, and searches the land with the glass slipper she left behind until he finds her again, and proposes to her. This pretty much exactly follows the French tale of Cendrillon by Charles Perrault in 1697, which is probably the most well-known Cinderella story. But did you know the story dates back to 7BC, and has had hundreds of variations in many cultures around the world? Here’s a few of my favourites. In ancient Greece, Cinderella was known as Rhodopis, and her sandal was stolen by an eagle when she was bathing. The eagle dropped this onto the king’s lap, and, stirred by the beauty of the sandal and the strangeness of its appearance, he sent his men to find the woman who wore the sandal for him to wed.
Cordelia is widely said to be derived from the eponymous story in Geoffrey of Monmouth’s Historia Regum Britanniae, and retold in Shakespeare’s King Lear. Cordelia was the youngest and most virtuous of the three daughters of King Leir of Britain (yep, it was spelt differently in this story), and due to the fact she could not lie to flatter his ego, she received nothing when her father divided up his kingdom between his children. However, Cordelia marries her love, Aganippus, King of the Franks, and flees to Gaul where she and her husband send an army to depose her wicked sisters. Cordelia is crowned Queen of Britain, but her reign only lasts 5 years. Needless to say, Shakespeare’s spin on the story had a tragic ending. The story of Ye Xian appeared in around 860. It tells the story of a hardworking and kind young girl who befriends a fish. Little does she know, the fish is actually the rebirth of her mother! The fish is killed by her stepmother and sister (there’s a running theme of evil step-relatives in Cinderella’s story, no matter where you look), but Ye Xian saves the bones, which turn out to be magic. They help her dress for the New Year Festival, but she loses her slipper in her haste to get away when her stepfamily spot her. However, the king finds her slipper and falls in love with her, eventually rescuing her from her cruel stepmother. Elsewhere in Asia, the Vietnamese take on this story (The Story of Tam and Cam) follows the same plot, but features a long battle with her mother and half-sister after Tam marries the king. 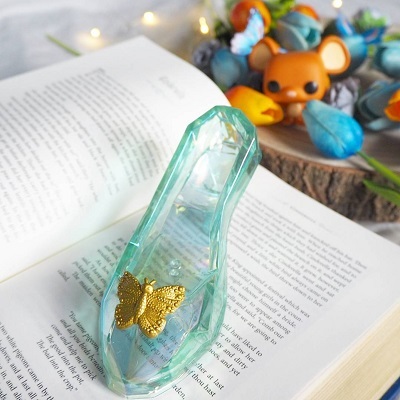 Again, this Cinderella variation features a wicked stepmother, evil stepsisters, magical transformation, a lost shoe, and a prince on the hunt for the girl who wore it. This time, the story follows Zezolla, the daughter of a prince, who is looked after by a beloved governess. The governess, with Zezolla’s help, persuades the prince to marry her, then brings six bullying daughters of her own to the fold. The governess’ daughters abuse Zezolla and force her to work as a servant in the kitchens, thus becoming Cenerentola, as servants during that time were known to be covered in ash due not only to their cleaning work, but also because they were forced to live in cold basements, and curled up by the fire for warmth. Other than Disney’s version (and arguably King Lear, though many don’t realise it’s a Cinderella story), the Brothers Grimm’s Aschenputtel is probably the most well known Cinderella story. In true Brothers Grimm style, there’s the grisly twist we’ve come to expect from the seemingly innocent stories that inspired beautiful, singing Disney princesses. Aschenputtel starts with a plague in the village, and a wealthy gentleman’s wife lying on her deathbed. She tells her daughter to remain good and kind, because if she does, God would protect her. She then dies, and her daughter visits her mother’s grave every day to grieve her. Aschenputtel is forced to work from dawn until dusk, with the cruel sisters deliberately making messes for her to clean. However, the girl remains kind and good as she had promised her mother, and continues to visit her grave and pray that her circumstances might improve. One day, her father visits a fair, and promises his daughters gifts of luxury. Similar to the original story of Beauty and the Beast, the evil sisters request pearls and diamonds, whilst the story’s selfless namesake asks for something that won’t cost her father anything, which in this case, is the first twig to knock his hat off on the way. The man goes on his way, and returns with all the gifts he promised. He gives his daughter a hazel twig, which she plants over her mother’s grave, and waters with her tears. It grows into a glowing hazel tree, and when Aschenputtel prays under it, a little white bird comes to her and grants her wishes. Aschenputtel accomplishes this task in less than an hour with the help of her dove friends, but her stepmother only doubles the task with a huge portion of lentils, which Aschenputtel clears up in no time. The stepmother, getting tired of trying to break her spirit, runs away to the festival with her daughters and husband, leaving the crying girl behind. However, Aschenputtel goes to the grave and asks to be clothed in silver and gold. The white bird delivers, and she goes to the feast. Similarly to the story of Ye Xian, this is said to be her dead mother helping her daughter from beyond the grave. The prince dances with Aschenputtel, and when the sunset comes, she asks to leave. The prince escorts her home, but she jumps inside the pigeon coop to elude him. The prince asks her father, who has come home early, to chop the coop down, but she has already escaped. The next day, she appears in even finer clothes, and the prince falls in love. When sunset comes, he tries to accompany her home again, but she climbs a pear tree to escape him. Again, her father chops down the tree at the prince’s request, but she’s nowhere to be seen. On the third day, Aschenputtel appears in slippers made of gold, and the prince is so determined to keep hold of her (creep) that he smears the stairway with sticky pitch, which one of her slippers sticks in. The shoe fits, and the prince rides away with her, only to be told by two doves from heaven that there is blood on his bride-to-be’s foot. Outraged, he takes her back to the house and asks to see the second sister. She cuts off her heel to fit in the shoe, and when they ride away, the same thing happens again. The prince returns to the house yet again, and Aschenputtel’s father says the only other girl is a kitchen-maid, and one who he fails to mention is his daughter at that. (He also refers to her as his “first wife’s child” and not his own). When Aschenputtel appears, the prince recognises her, and asks for her hand in marriage. At the wedding, her stepsisters serve as her bridesmaids, hoping to charm their way back into her good books, but as they walk down the aisle, the doves fly down and strike an eye for each of them. When the wedding ends and the prince and Aschenputtel leave the church, the doves fly again and strike the sisters blind as a lifelong punishment for their treachery. As you can see, from this post and the others in my Grisly Disney series, it tends to be the Brothers Grimm or Hans Christian Andersen that provide macabre twists to the fairy tale plot lines. However, whilst all versions of Cinderella’s story vary, there’s a few things that stay the same in every version. Villains: In some versions, her father is more active in humiliating his daughter, as opposed to being under the thumb of a wicked wife. However, most known versions feature a female persecutor, whether this is her stepmother or her stepsisters. Handbags and gladrags: There is always a ball of some sort, though sometimes there are up to three across the variations I’ve come across. There are also many variations like Ye Xian and Aschenputtel that include assistance from a dead mother, from Joseph Jacobs’ The Cinder Maid to the Finnish story of The Wonderful Birch. Talking animals: This isn’t just a Disney invention! There were animal companions in Aschenputtel and Ye Xian, but they actually talked in retellings such as Katie Woodencloak, Rushen Coatie, Bawang Putih Bawang Merah, The Story of Tam and Cam, and The Sharp Grey Sheep to name a few. Midnight curfew: Cinderella isn’t always strictly to return home by midnight before the magic disappears; sometimes she wants to get home before her family, has been spotted by her family, or is simply tired. (Girl after my own heart). The happily ever after: For the most part, Cinderella lives happily ever after with her prince, but various versions have seen her stepsisters punished; the stepsisters turning Cinderella into a dove on her wedding night; the stepmother switching her daughter for the true bride, etc. There’s so many variations of this tale – I hadn’t even realised! Way back in 1893, there was a book produced called Cinderella: Three Hundred and Forty-Five Variants, so I dread to think how many there are now. Certainly too many for one blog post, that’s for sure! What’s your favourite retelling? Do you prefer the grislier versions or the Disney-ified ones? 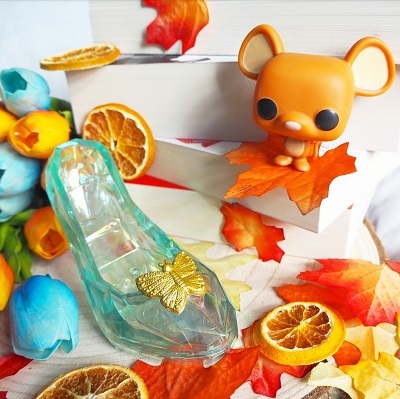 Have you spotted anything in popular culture nowadays that echoes the story of Cinderella? P.S. If you liked this, be sure to check out the rest of my Grisly Disney collection! As I said on Instagram, I love your grisly Disney posts. Thank you so much for doing the research and sharing with us. The Greek version still makes me laugh, imagine if people today would fall in love just by looking at a lost shoe! 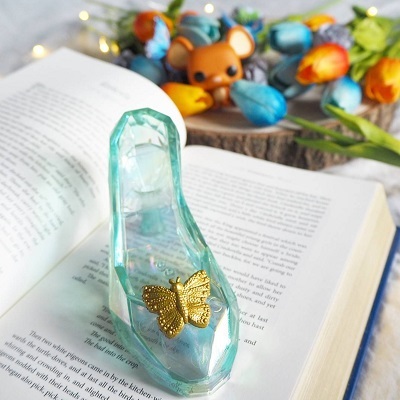 I think in our childhood we had a Grimm version, I remember well how the step-sisters tried to put the shoe on and it was too small, so one of them cut off a toe and the other her heel to fit into the shoe. Quite bloody. I turned out more or less fine. 😂😂 I would love to see THAT episode! I can totally imagine someone falling in love with Ruby after seeing only her shoes, lol. No, I don’t think so! Who do you mean?! My favorite retelling is (shocker) Juliet Marillier’s Daughter of the Forest, which is based off of The Six Swans. Maybe you can research that one for me! Thank you so much, Maraia! This one took so much longer than I was anticipating – there are SO many retellings; I just had no idea! To add a fun one to this, there’s a Czech movie version of Cinderella from the 70s (Three Wishes/Gifts for Cinderella) that they air in several European countries during Christmas; in Norway they air it on Christmas Eve every year. It follows much of the “classic” Cinderella version, but she also receives three magical acorns (from one of the old servants in the househould; he goes to the village to do some shopping and Cinder says “bring me back whatever falls on you” and these acorns fall from a tree and into his lap). Each acorn contains a costume that she’ll use in order to get the Prince – the first dresses her up as a hunter, the second as a princess at the ball (where she loses her slipper), and the third is a wedding dress. I don’t know how much of a fairy tale it is in the traditional sense but it’s a pretty cute version, I’ve watched it every year since I was a kid haha. You can probably find clips – or the entire movie – on YouTube! Thanks so much, Ann! I’m really glad you enjoyed! Yep, same – I’d heard the story, but didn’t realise it was BG or she was called Aschenputtel! I know right?? Haha he literally tried to glue her to the staircase, he’s not possessive at all. What a creepy prince, like I don’t care if he’s royalty and I’ll get half the kingdom by marrying him, just keep him away from me lmao. It is definitely super cute! I’m guessing you didn’t come across it because they probably just made their own spin on Cinderella to make a movie, but it’s still great! I like this version. It’s extra funny though because the Norwegian dub (which was also made back in the 70s and is still shown today) has ONE actor doing all the voices haha! Like please, I’d rather stay a poor peasant haha!